At Sninski & Schmitt Family Dentistry, our number one priority is to provide you with a wide range of local dental services at a high-quality level. We understand that visiting the dentist may not always be a comfortable experience, but our staff endeavors every day to make your visit as painless as possible! Our local dentist team is committed to providing you with the best that dentists in Holly Springs and Cary can provide. 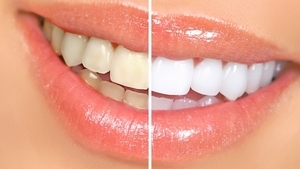 Have you always dreamed of a brighter smile? At Sninski & Schmitt Family Dentistry we offer cosmetic dentistry services such as teeth whitening, invisible braces, veneers and more to help our patients obtain the smile they deserve. With convenient dentist offices in Holly Springs and Cary, you are never too far away from the best cosmetic dentist in the triangle area. We also offer a unique Smile Makeover, combining multiple cosmetic dental treatments to completely rework your smile, restore your confidence, and give you a brand-new look. If you are looking to schedule a routine check-up or teeth cleaning for you or your child, look no further. At Sninski & Schmitt Family Dentistry we encourage our patients to visit us for preventative dentistry to ensure that they are maintaining a healthy smile! Maintaining a visiting schedule with your Cary dentist or Holly Springs dentist can serve to prevent many of the dental problems that our other services fix at a much cheaper rate. Please visit one of our convenient dental offices in Holly Springs and Cary, NC. Restorative dentistry is important to maintain a healthy mouth, as any damage you may have can get worse without the correct dental treatment. Sninski & Schmitt Family Dentistry offers services such as same-day crowns, bridges, root canals and more to help our patients restore their healthy smiles. From dentures to partials to dental implants, we offer implant dentistry services to replace missing or damaged teeth. There is no need to worry about the appearance of implant dentistry because when you choose to have your implant work done at Sninski & Schmitt Family Dentistry, you can rest assured that your smile will be restored to a natural look. Visit any of our dental offices in Holly Springs and Cary for the most superior dental services in the Triangle.